Alpaca too can be contained with this fencing system, even with their heavy, amazingly SOFT, fiber coats. Just be certain that your fence is adequately grounded to ensure the highest voltage alert to the animal. 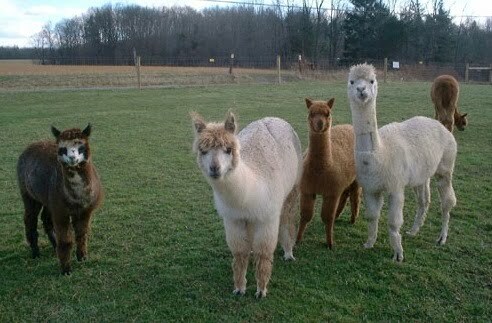 Alpaca Fence (5 line fence): A five line fence is recommended. Consisting of three positive lines and two ground.